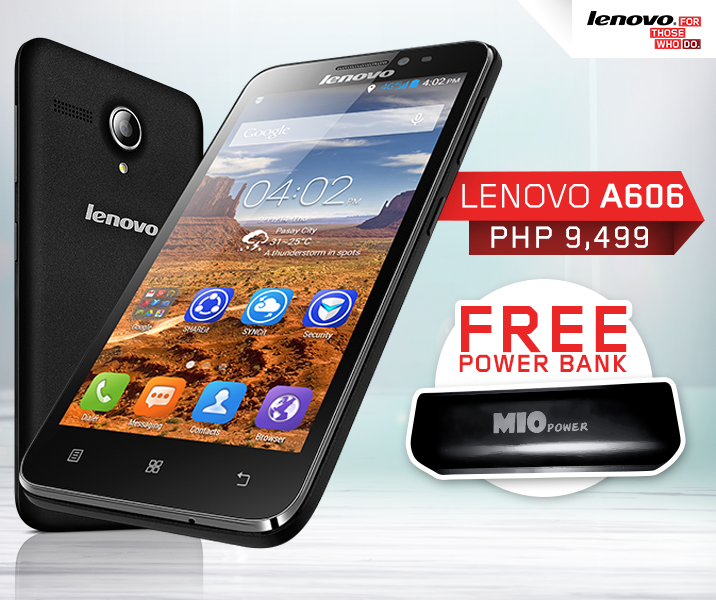 Lenovo Mobile Philippines is giving away a free power bank when you buy the LTE-capable Lenovo A606 for a price of Php9,499. The company has announced the promo yesterday in its Facebook page. The LTE-powered device made its local debut last October 2014 which packs a 5-inch FWVGA display. It runs on MediaTek quad-core processor at the speed of 1.3GHz coupled with a gigabyte of RAM for the execution of highly demanding tasks. The A606 is powered by Android KitKat out-of-the-box which makes it a good runner for your favourite apps in the Play Store. Connectivity-wise, there’s 4G data speed for fast mobile internet, WiFi and Bluetooth. You will get 8GB across the board storage which can be further expanded up to 32GB via microSD. The 8MP and 2MP shooters; and 2000mAh battery are also capable features. This handset is clearly being marketed for its LTE capability while other specs are just pretty basic.